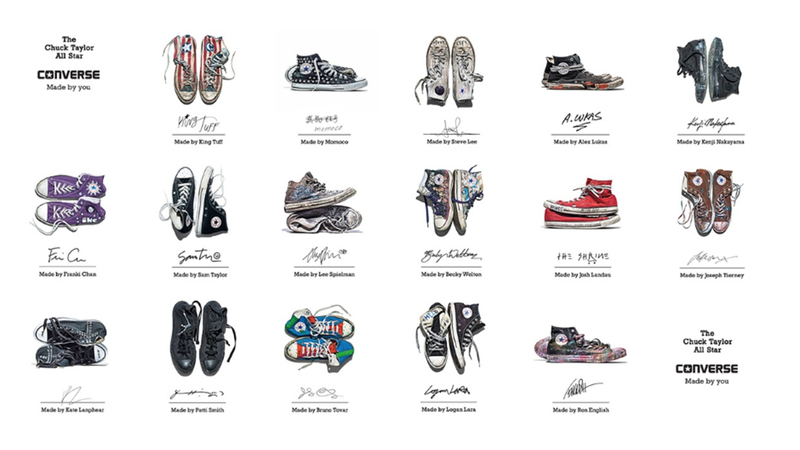 Converse is celebrating its iconic ‘Chuck Taylor All Star’ shoe with a global branded arts campaign highlighting the brand’s role in subcultures and self-expression. 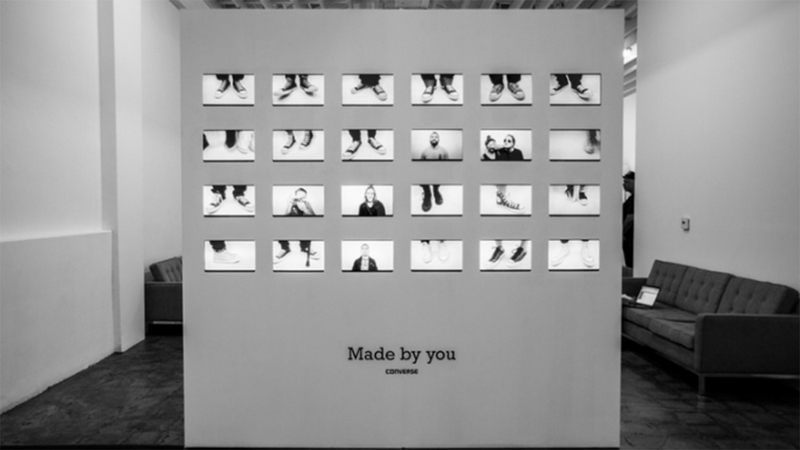 ‘Made by You’ is a collection of portraits which aims to showcase the unique role of Converse as “the only sneaker defined by those who wear them”. Converse has curated a collection of “Chucks” from a diverse collection of celebrity and everyday wearers from around the globe. Each shoe tells a story of the transformation of the shoe from a blank canvas to a personalised self-portrait of the wearer. 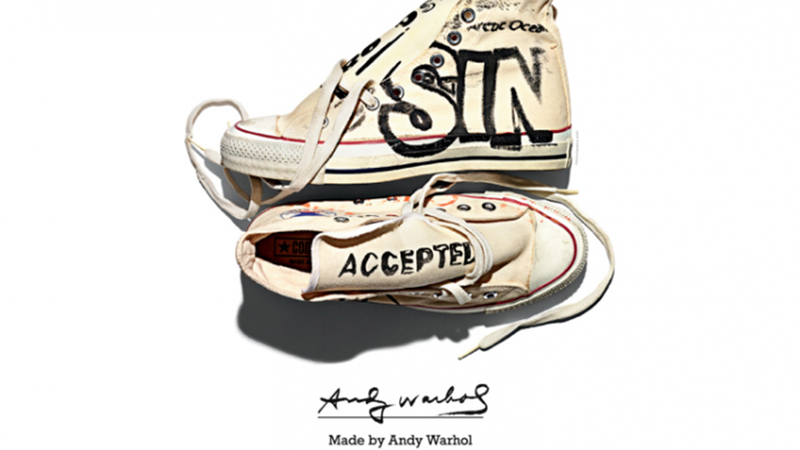 The aim is to showcase the self-expression of a diverse group of individuals including musicians, artists, skaters, fashionistas: such as Patti Smith, Andy Warhol, Futura and Jefferson Hack alongside portraits from everyday Chuck Taylor All Star wearers. The exhibition will travel around the world with dedicated exhibitions in art galleries as well as unique experiences, installations and murals in the streets of New York, Shanghai, Rio and Mexico City. The exhibitions will include hyper-local events in the streets of the cities in a bid to talk directly to the local communities and sub-cultures where the brand belongs. 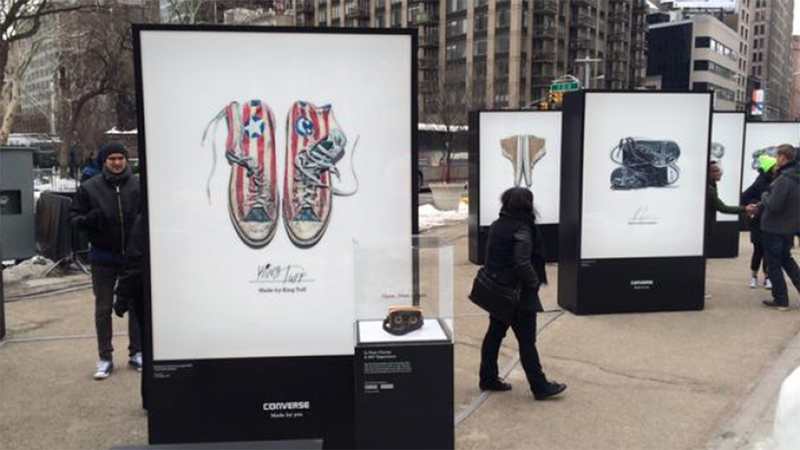 Converse will also host portrait studios at retail locations around the world where fans can create their own unique portraits as well as hosting activations and events. Converse is a unique brand and this ‘Made By You’ pays tribute to this distinction, while Nike and Adidas harness athletes and music artists to wear their products and sell the brand, Converse has always been the people’s shoes, the pinnacle of cool. This is a shoe that has been worn by basketball players, soldiers, rappers and rockers – from Elvis Presley to Kurt Cobain and every teenager looking to express themselves. Everyone remembers their first pair, many still have them. This iconic shoe has passed from generation to generation without ever losing its cool or tarnishing its reputation. 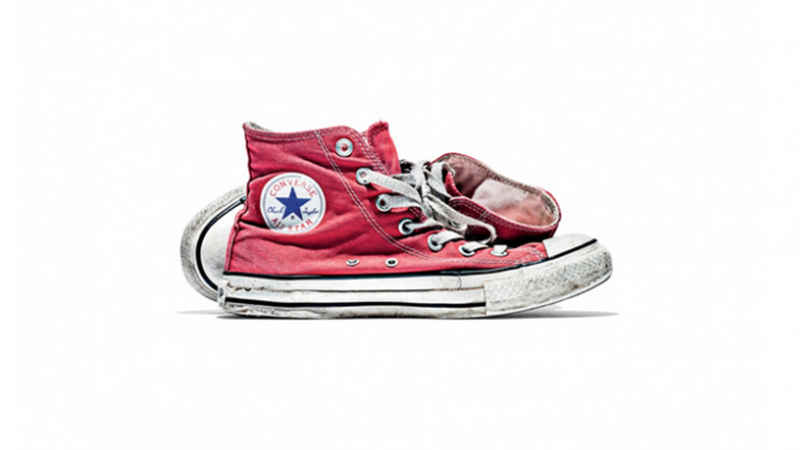 Not many brands can lay claim to such an impressive legacy, while Nike and Adidas manufacture cool through association, Converse continues to be the icon of cool. At a time when brands are desperate to align with creative and artistic subcultures, Converse is creating a masterclass, all the while remaining authentic and true to the brand and its fans. This is a brilliant example of how brands can create meaningful branded arts that will be embraced by its audience. A great campaign.